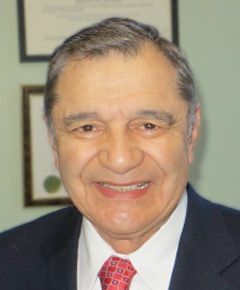 Born in Líbano, Tolima, Colombia, Pedro Villegas gained his veterinary degree from the Universidad del Tolima in Colombia in 1967. He completed his Master’s degree at Texas A&M University in 1971 and his PhD at the University of Georgia in 1975. He is a diplomate of the American College of Veterinary Microbiology (ACVM) and charter member of the American College of Poultry Veterinarians (ACPV). He holds honorary degrees from the University of Tolima, Universidad Complutense de Madrid (Spain) and Universidad Mayor de San Marcos in Lima (Perú). From the American Association of Avian Pathologists (AAAP), he has received three awards: Special Service Award in 2003, Poultry Research Award in 2007, and the Lasher-Bottorf award (technical diagnostic services) in 2010. In 1999 he received the Inventor Award from the University of Georgia for the discovery of the VG/GA (Villegas-Glisson/Georgia) vaccine strain of Newcastle disease. He started working in his native country at the Colombian Agricultural Institute (ICA) and in 1977 he moved to the University of Georgia. During his tenure at Georgia he mentored numerous graduate students at the Master and PhD levels. His main work has been in the area of avian virology and control of poultry diseases. He has published close to 100 peer-reviewed articles covering Newcastle disease, infectious bursal disease, avian adenoviruses, infectious bronchitis, Marek´s disease, avian reovirus, infectious laryngotracheitis and avian leukosis viruses. He has given approximately 300 presentations in 50 different countries, including all of Latin America. He founded and was editor for 14 years of Avicultura Professional (Professional Poultry) a quarterly trade publication edited in Spanish with circulation in Latin America. He translated all the summaries for Avian Diseases for nearly 20 years. At the University of Georgia, he has organized eight times the International Seminar in Poultry Pathology and Production, held every 4 years, and attended by more than 300 veterinarians from all Spanish and Portuguese speaking countries. With his wife Angela, he has two sons (Pedro and Andrés) and one daughter (Patricia), and is currently Professor Emeritus at the University of Georgia and consultant for major poultry companies in Latin America and Spain.